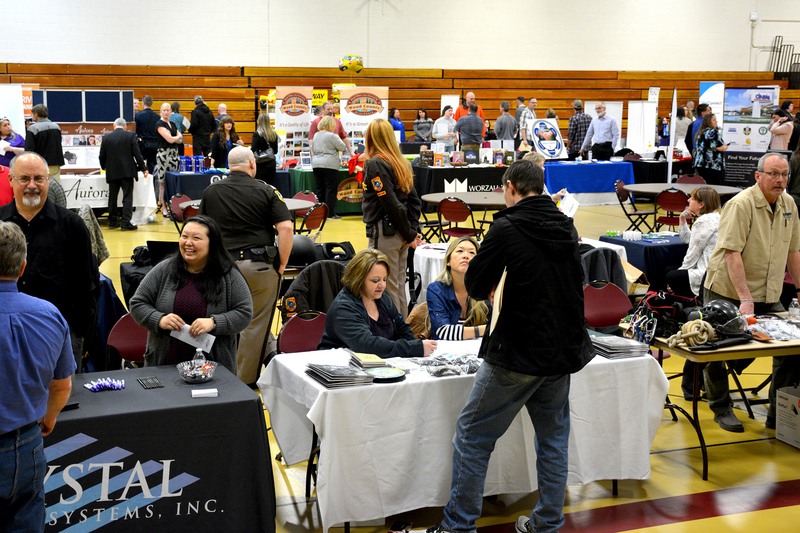 WISCONSIN RAPIDS – Mid-State Technical College hosted its annual Central Wisconsin Job Fair on April 3. Open to all seeking a job or other opportunity with local employers, the free event attracted 275 job seekers and 75 employers, significant increases over the 200 job seekers and 65 employers at last year’s event. “We were pleased to see participation up this year, with an especially generous increase in job seekers in attendance” said Joe Pomrening, Mid-State’s career services coordinator. “Survey data on resumes and applications collected this year are still pending, but with a 15 percent increase in employers and a 40 percent increase in job seekers, we expect to see those numbers up as well,” he added. The Central Wisconsin Job Fair is organized by Mid-State and the Wisconsin Rapids Job Center, a proud partner of the American Job Center. This year’s event was also sponsored by North Central Wisconsin Workforce Development Board, Hot 96.7, Big Cheese 107.9, Y-106.5 and 103.3 WGLX. Job-seekers talk to potential employers at the Central Wisconsin Job Fair held April 3 on the Wisconsin Rapids Campus of Mid-State Technical College.